Review of Kahuna LM6800｜Zero Gravity Massage Chair on a Budget | Homesthetics - Inspiring ideas for your home. If you are having a budget in mind, and want an option that’s well within your price range, yet offers decent features, then you might want to consider the LM6800 Zero Gravity Massage Chair Recliner by Kahuna. This massage chair indeed is cheaper than many other options available in the market, such as the Inada Dreamwave, which might burn a hole in your pockets. This article details the specifications, pros, and cons of the model so that you can look through them and decide if this could be the massage recliner perfect for you, regarding both pricing and feature. Even though the Kahuna’s massage chair is in a cheaper price range than that of others, it takes pride in everything it has to offer. 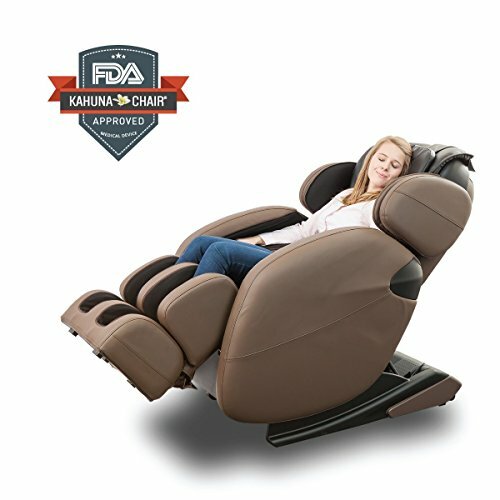 Competing with its expensive counterparts, Kahuna worked hard to provide comfort and deep relaxation to the users through this massage recliner model. The chair comes with a traditional L-Track design, thus ensuring a complete massage to the back and lower back areas. Unlike the chairs that follow the S-Track design, this massage chair ensures that the massage is done, all the way from the neck to the back, tailbone area and the buttocks. In addition to that, the massage chair has several other features, with the Yoga and Shiatsu massage features being the most prominent ones. This makes the chair worth giving a try, especially when you want a massage recliner for the basic needs, but you don’t want to go for the options on the higher end of the price spectrum. The following are the primary specifications of this model massage chair by Kahuna. Quite surprising for its price range, just massage chair comes with an L-track roller design. Usually, for this price, you would probably see an S-Track due to its cheaper functionality of incorporation. However, this chair comes with the roller design which can ensure a different kind of massages all the to the glutes using horizontal movement. It is said that Zero Gravity position is the right one for getting any massage because one can achieve deep relaxation levels using this system. Therefore, you can say that this addition to the Kahuna’s chair is welcoming. A lot of massage chairs these days have the computer body scan Technology – it kind of became a necessity as it gives the user more personalized experiences with the massages. This model too hasn’t left out incorporating this technology in spite of its price range. 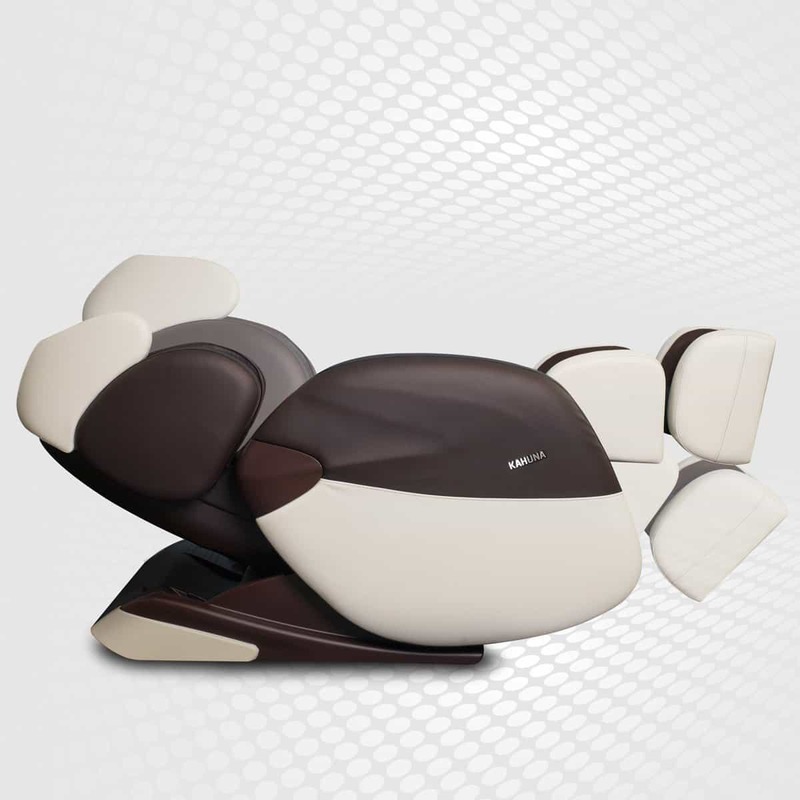 One exceptional feature of this massage chair is its auto yoga program, which enables the user get a proper stretching of the spine as well as leg muscles. The company claims to give an optimal massaging experience with the use of fewer airbags to cover the chair’s surface area as per the requirement, as opposed to the other chairs in the market. Like Yoga Program, there’s another unique feature this chair has to offer – the Shiatsu therapy. The LM-6800’s massage system emulates the ancient massaging system in Japan to mobilize and stretch the joints so that the user feels more comfortable and relaxed. It came to me as a surprise that Kahuna managed to use real foot rollers at this price range. Many moderately priced massage recliners, and for that matter, even some of the expensive ones omit this feature often. So, the company sure does receive some credit for being able to add foot rollers to give a great massage to the feet. This is one of the reasons as to why this chair is a real hit among the users in the market. The chair takes up only a little space to extend fully. Can you guess? It’s just five inches, that’s all it takes! However, there have been other massage chairs on the market that can take even up to 15 inches to do the trick. So, if you don’t have a lot of space at home, then you don’t have to worry about not getting a massage recliner, because it can be placed at one corner, without having to move things frantically for some extra space. Weight: Up to 260 lbs. Lower price than that of similar-functioned chairs. Quick heat therapy, for both back and the legs. Adjustable massage spee, pressure, duration. Built-in casters to improve mobility. Five programs that target particular areas of the body. Can be noisy during a few programs. Deep foot massage could be painful for some users. It is a little limited when compared to the chairs of a higher price range. Cannot be comfortable for taller people. There are more than 300 reviews on Amazon from the people who purchased the product from Kahuna. 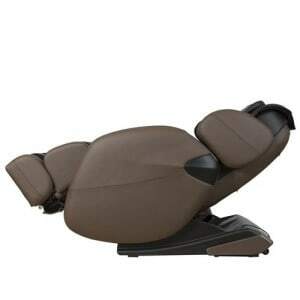 There are also many other portals online from where one could buy the massage recliner. 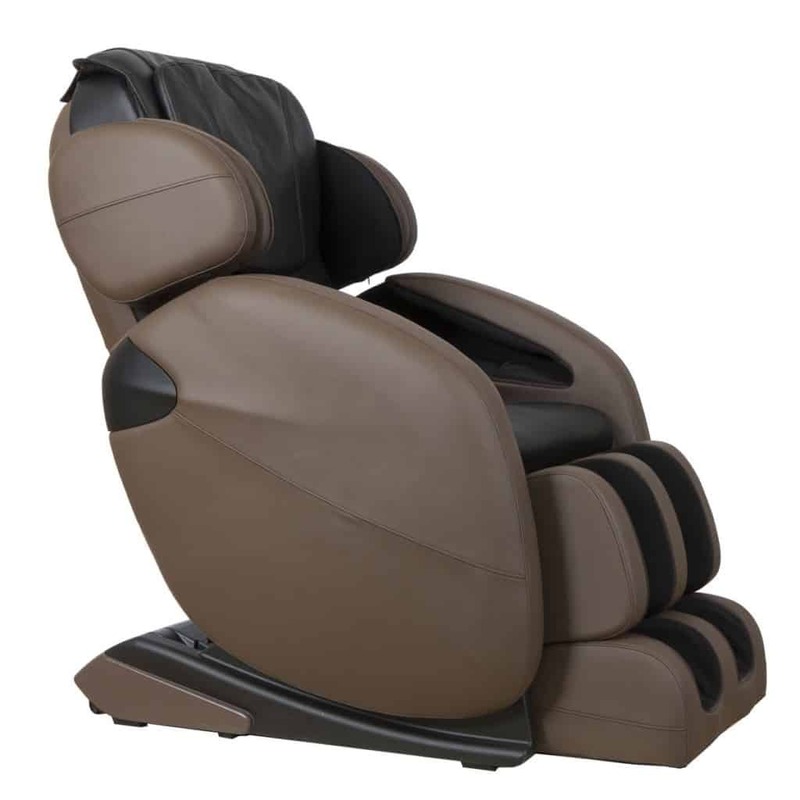 You could read some reviews for yourself, but in case you need a heads up about the same, you can read on further about what most of the users thought about the LM 6800 Massage Chair Recliner. Majority of the reviews are positive, and Amazon.com shows around 4.5 on five stars for the product. Based on this, one could say that many customers are happy with the product. The pricing of the chair has been the most favorite among the users, as it gave a fierce competition to pricier brands when it came to the features and benefits the chair had to offer. And although nothing is perfect, this product by Kahuna surely has been bestowed with overwhelmingly positive reviews, that too, in the majority. In addition to the pricing, a lot of people who bought the product have been happy with the overall massaging experience that LM 6800 gives, and all the features the product had to offer. The first manual that came along with the product was not understandable, but many users said that the updated manual covered up for it. So, there’s not any significant flaw you can worry about. However, there have been a few complaints from the taller users who have said that it was a little uncomfortable for them to use the chair, which again, had other contradicting opinions as there have been a considerable amount of tall customers who were satisfied with the product. One thing that Kahuna LM 6800 Massage Chair takes pride in, is its ability to give amazing massage features at a cost that doesn’t burn a hole in your pocket. And I agree with the same! Kahuna’s LM 6800 is a much better option than most of its contemporary models that come at a higher cost, as they provide similar features most of the time. So, if you are just fine with going for a cheaper alternative, yet get a great massaging experience, this could be your best bet. 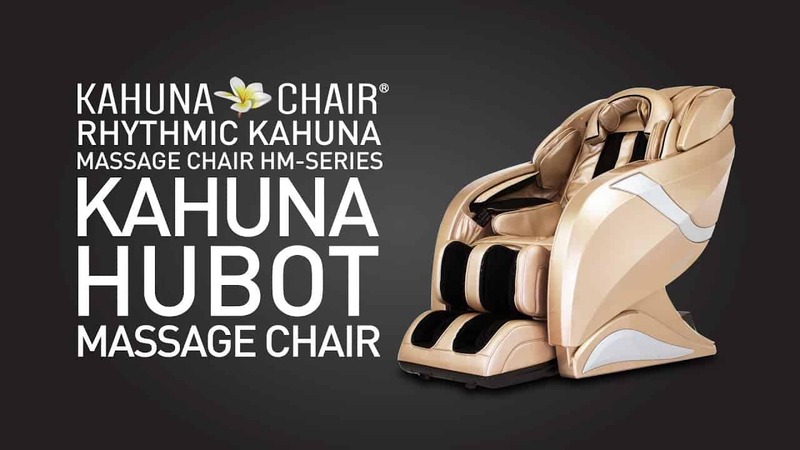 https://homesthetics.net/best-massage-chair/ contains even more awesome options and as you have noticed, Kahuna is one of the great brands on the list!